We are pleased to offer you this one bedroom apartment within an amazing area of Varna and just a few kilometers from Varna centre. 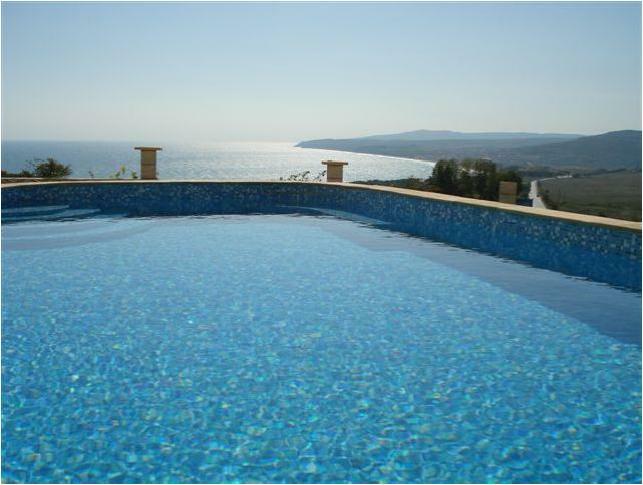 It is located in a summer villa zone and in one of the most expensive suburban areas of Varna. If you are looking for a relaxing place to live by the sea in a quiet and pleasant environment, then you have come to the right place. The complex is situated in one of the most beautiful places in the vicinity of the city of Varna. Evksinograd is a former late 19th-century Bulgarian royal summer palace and park on the Black Sea coast, 8 km north of the city of Varna. It is currently a governmental and presidential residence. This one bedroom apartment is fully equipped with everything you need out of a long term apartment. The living/kitchen area has air-conditioning, a washing machine and the apartment has a terrace overlooking the beautiful street. Parking is also available with this long term apartment. The Euxinograd park is home to over 310 plant varieties from Asia, South America, North Africa and Southern France. It occuipies an area of over 550 decare. The park is a combination of English and French styles and was finished by Edouard Andre. It has two bridges, a metal one and a cement one, which imitates a felled tree. The area is surrounded by vineyards. The tiny Kestrichka Bara River flows through the park. The park also features a small lake full of lilies, French-made bronze figures and a sculpture of Neptune. More than 50,000 trees were purchased from Marseille and fertile soil was brought from the mouth of the Kamchiya River.